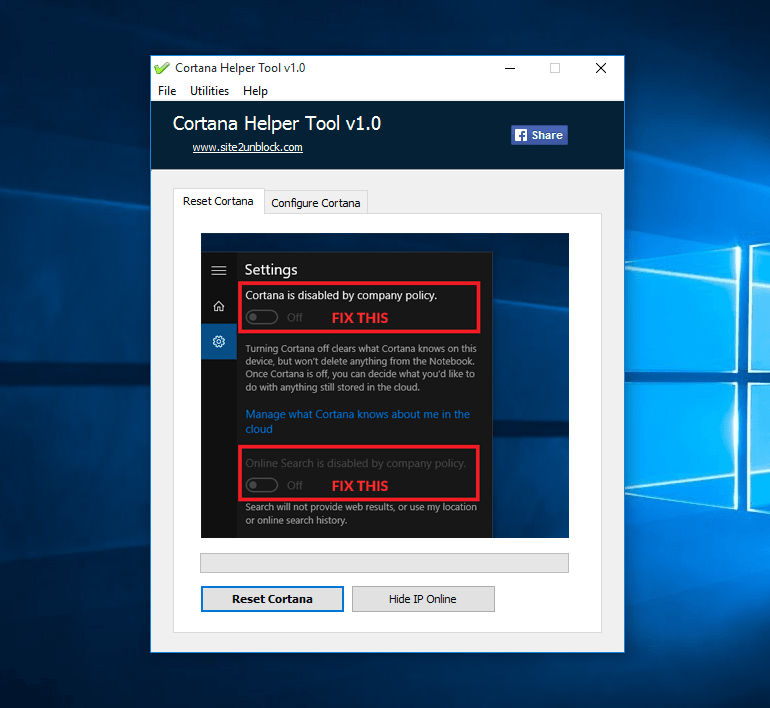 Cortana Helper Tool: Reset Cortana, Fix "Cortana is disabled by company policy"
Cortana Helper Tool is a very simple Windows OS software application that helps you to reset Cortana settings. An effective tool to fix Cortana restrictions "Cortana is disabled by company policy" and "Online Search is disabled by company policy". The usage is simple, open the program, click "Reset Cortana", and restart your PC, that's all. We have included some special options to customize Cortana functionality (so also experienced users can enjoy this application). Tested on Windows 10 Home, Pro and Enterprise, 32\64-bit. Fix "Cortana is disabled by company policy"
Fix "Online Search is disabled by company policy"